A few weeks ago I had the fantastic opportunity to attend a Fashion Photography Master Class hosted by Zeiss UK in association with Clifton Cameras, Sony, Epson, Broncolor and Manfrotto. 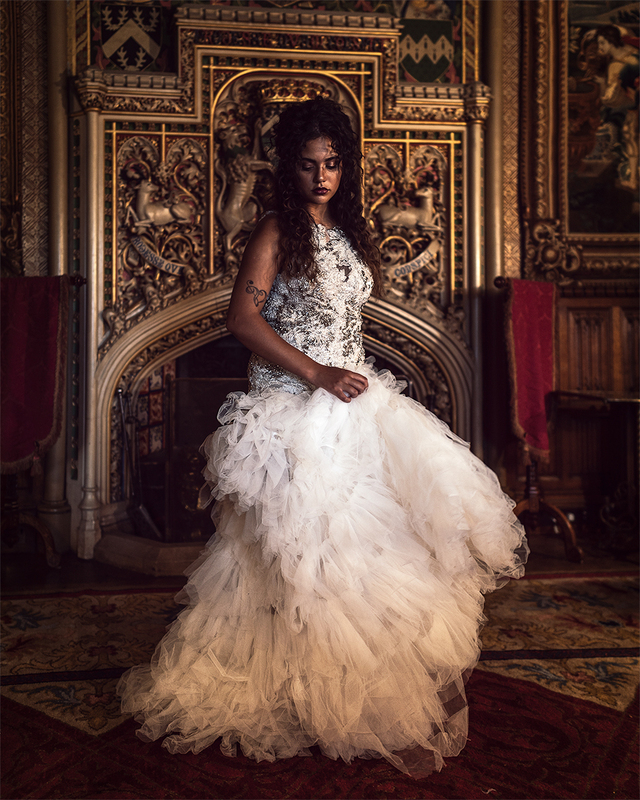 The event was held in the stunning grounds of Eastnor Castle in Herefordshire and was run by Zeiss ambassadors Luke & Mandy. Throughout the day I had the opportunity to shoot with a range of Zeiss lenses that I paired with my Sony A7iii and I also got to try out the new Sony 24mm f1.4 GM. We got to shoot three different setups during the course of the event. The first setup was a one light setup shot at the bottom of a staircase. For this setup I managed to get my hands on the brand new Zeiss Batis 40mm f2. The lighting was set up for us and we had a limited amount of time to shoot due to there only being one trigger per camera brand but I managed to get a couple of shots with the Batis 40mm and was impressed with its performance in a low light scene. The second setup was a backlit scene with Mandy posing on a sofa. Unfortunately I didn’t manage to get my hands on a trigger for this scene so I decided to switch away from the 40mm and threw on the Zeiss Batis 85mm f1.8 to switch positions and get a side lit portrait of Mandy using the large windows as a soft light source while the rest of the guys shot wider angle shots with the strobe. For the third setup Mandy was posed in a grand room in front of a fireplace. Again I didn’t get chance to use the trigger so decided to try out the brand new Sony 24mm f1.4 GM as I needed a fast wide angle lens to use in the tight space with low light. During the break I also got chatting to a model who was there with a friend and managed to get a cheeky five minute shoot with her outside of the castle. It was a very overcast day which produced an amazingly soft light so I grabbed the Zeiss Otus 85mm f1.4 and also took the Batis 85mm f1.4 to shoot some natural light portraits of Roxana. I’d heard amazing things about the Otus and was excited to finally get my hands on it. The Otus is an amazing lens, the fall off is so buttery and when you nail focus it is extremely sharp. I had to use it in manual focus due to the fact I had to use an adaptor which made it very hard to get focus wide open but I was very impressed with the quality of the optics. After a couple of shots with the Otus, I chucked on the Batis 85mm so I could test that in decent light and used the entrance to the castle as a giant softbox to get the below image. I had a great time at the event and really enjoyed being able to shoot with Zeiss glass on my Sony. Although my time with each lens and setup was limited, overall I was very impressed with the quality of the Zeiss glass I got to use and would love more opportunities to shoot with it in the future. I was also very impressed with the new Sony 24mm f1.4 GM lens but then that wasn't much of a surprise to me given the fact I’ve used a lot of G Master lenses and they’ve never disappointed! I’d like to thank everyone involved for a great day, especially Clifton Cameras for sending me on the event and Zeiss for the opportunity to use their wonderful glass. Hands on with the Nikon Z7!